A boy sustained head injury when playing on an indoor trampoline recently, according to the Consumer Council’s latest report. Unlike in the U.K., no license is required in Hong Kong for the operation of amusement park facilities. Trampolines are not a regulated “entertainment” activity under the Places of Public Entertainment Ordinance, according to the The Food and Environmental Hygiene Department (FEHD). According to the Electrical and Mechanical Services Department (EMSD) that regulates amusement park rides, trampolines are not amusement rides since they are not power-driven. Amusement rides are devices that are power-driven for driving or riding by the public primarily for amusement purposes, such as roller coasters, Ferris wheels and pirate ships, according to the EMSD. The FEHD told the Consumer Council that relevant international sports associations, such as federations for trampolines, have already set standards on the proper use of sports facilities. Lack of licensing requirement is not the only regulatory loophole revealed from the 178 complaints received by the Consumer Council during the past three years. According to the Council, most complaints are about service quality and safety concerns of both indoor and outdoor activities. Some operators may use a “disclaimer” to evade liabilities, misleading consumers to give up their right to redress, said the consumer watchdog. In the case of the trampoline injury, the accompanying domestic helper was asked to sign a Term of Use agreement when she bought the admission ticket for the child. She recalled those terms as purported to exempt the operator from all legal liabilities, according to the council. “The Control of Exemption Clauses Ordinance clearly stated that the court will only enforce the operator’s exemption clauses when they are deemed fair and reasonable,” said Dr. Chan Wai-hon Felix, a law professor from the University of Hong Kong. “Under the legislation, the operators cannot escape liabilities arising from death or personal injuries resulting from negligence,” he said. Dr. Chan suggested consumers making civil claims against the operator within three years of personal injury or death, whether resulting from mechanical problems or employees’ negligence. Amusement rides have been very popular in Hong Kong over the years. About 30 rides at the 2015-2016 AIA Great European Carnival have attracted more than 900,000 visitor, both grownups and children. The Tung Wah Charity Fair, another seasonal amusement fair held from December to March across the year, offered more than 20 rides for visitors. Mrs. Lam, who visited the carnival with her one-year-old child, said she did not worry about her safety. “This is an international carnival organised by a famous company. I have not heard of any safety issues or complaints about the carnival yet,” she said. “Amusement parks may be using the thrill of the rides to lure people into doing things they would not normally do”, said Dr. Ng Kin-shing Henry, a social psychology professor from the University of Hong Kong. 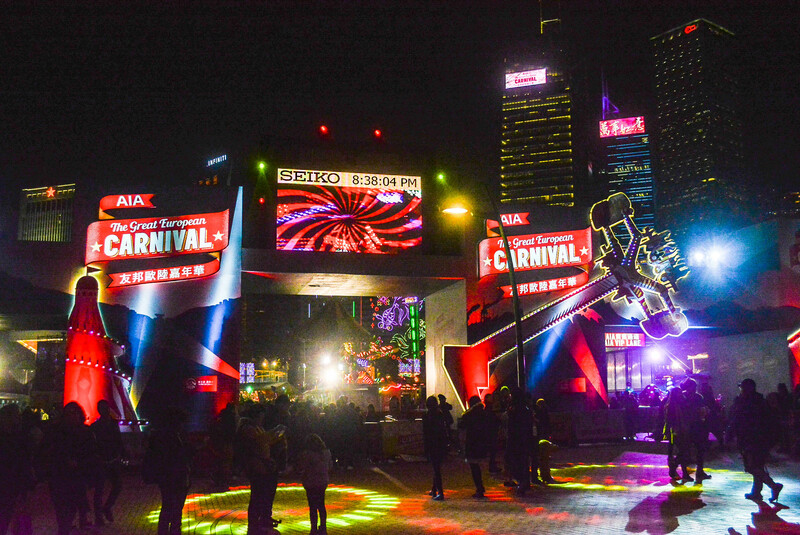 “Consumers should contact the organizers of carnivals for any safety concerns and arrangements as these events are operated independently in a private manner by big corporations,” said Ms. Francesca Lam, a representative of Leisure and Culture Services Department. The Consumer Council suggests that event organizers should provide timely updates regarding amusement facilities arrangements, put in place contingency measures and comply with all regulations regarding fire safety, electro-mechanical and land use requirements.